Leonia Kim is a PGA Certified golf instructor that gives golf lessons in Glendale, and Sylmar. She teaches all children, adults and seniors with the same passion and enthusiasm. 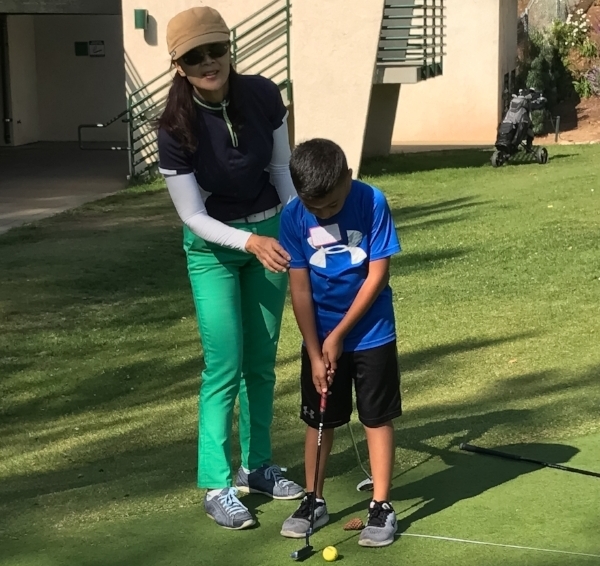 Leonia’s knowledge of golf as both a player and a teacher, coupled with her enthusiasm makes her a great teacher for golfers of all ages and abilities. Check out some of her free video lessons.